Last weekend I attended the yearly Deacon’s retreat for my Archdiocese. One of my favorite things to do during these gatherings of deacons is reciting the Holy Office in community. I was asked to give a brief reflection during the Evening Prayer for the Saturday service. That morning another deacon gave his reflection using as an illustration the Broadway musical Fiddler on the Roof. I picked on this theme and this is what I preached. You are “a chosen race, a royal priesthood, a holy nation, a people he claims for his own to proclaim the glorious works” of the One who called you from darkness into his marvelous light. Once you were no people, but now you are God’s people; once there was no mercy for you, but now you have found mercy. Following the Broadway musical theme we started this morning during Morning Prayer I would like to recall another famous production: Les Miserables. This story of redemption tells of a man, Jean Valjean, who after 20 years in jail decides to break his parole and start a new life. With time he becomes an important person in his town, only to discover that another man has been accused of being Jean Valjean and that this man will be tried in his place. 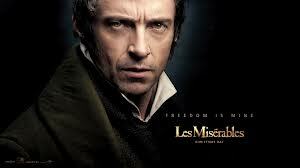 Valjean struggles with what to do and it is at this moment in the play in which Valjean sings the song “Who am I?”. As deacons, we move between different worlds; between ministry, family life and professional careers. Sometimes the demands of each one of these worlds pull on us from different directions. I think it is fair to say that each one of us here today at one time or another, have asked this same question. “Who am I?” I’m I a dad? A husband? A professional? Clergy? Today’s readings provide an answer to this question, an answer which comes from the Lord himself. Who does the Lord see us to be? We are a chosen race, a royal priesthood, a holy nation, a people He claims for His own to proclaim His glorious works. Brothers, it is very easy to forget who we are. Today the Lord reminds us of our calling and our true identity. He gave me strength to journey on. Who am I? Who are we? We are deacons called to serve the Body of Christ.